I need to have this one explained to me again. Not the math. It's not the number crunch of graded curving that escapes me. It's the underlying principle. 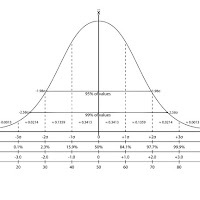 Yesterday evening my college sophomore received an email from a professor explaining that the calculated average for her class was 88 and that the standard deviation was 10. Presumably this was to help my daughter (and her classmates) calculate her curved grade given that she knew her actual grade. Though she started slow, she finished strong, and my daughter did fine. What I could not adequately explain to her, despite my chosen field, was why a professor would distribute grades as if there were a limited number available. Why she hadn't been graded on what she had demonstrated she learned, independent of what other students had or had not learned. Why is my B related to someone else's A or C? Earlier in the day I had spoken with Dr. Quaglia fresh from some high powered meetings is Washington, D.C. One of the things he remarked about was how surprised people at that level in our educational system are whenever he offers to share our data base with them. "It seems like everyone is competing with one another. Aren't we all in this together to make schools better for kids?" After failing to explain things to my daughter, the days dots started to connect. Competition for whose program is better for schools, curved grading, "Race to the Top" (which I had been reading more about). Our educational system from national to local, from the Department of Education to the school classroom is rife with competition. I understand that competition can be highly motivating. And certainly competing against oneself for personal bests is a sure path to ongoing success. No doubt there is a time and a place for competition at all levels. I am just not sure it should be the underlying framework as it has been in the past. Knowledge is not a zero-sum game. If I learn more, you don't learn less. My A does not inhibit your A even a little. I think our education systems are evolving slowly towards a more collaborative, less competitive, set of practices. One more aligned with the true nature of teaching and learning--one the most profound and necessary forms of human collaboration and partnership. I see much more group work in the classrooms I visit and much great collegiality among teachers. It was just interesting to run across three vestiges of the competitive mind-set in one day.